When a 21-year old Hyderabadi batsman called Mohammed Azharuddin made his debut against England, the year was 1984 and most were clueless about what was in store. He seemed like any other youngster with a passion for the game who had gotten a chance to play for the national cricket team. But what truly set him apart, right from the start, was his natural flair for the game – the kind of understanding and temperament one would expect from a pro. Mohammed Azharuddin went on to hit a century right in his debut match at Kolkata, and went on to hit a couple more in following, consecutive matches, leaving both the cricket board and spectators stunned. Things on the personal front have been kept very compartmentalised and private by this popular cricketer. 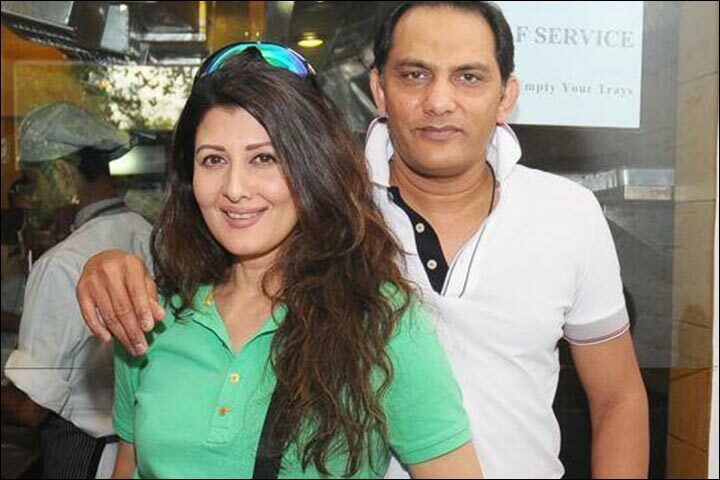 Azharuddin’s marriage, his first marriage, happened way back in 1987, only to then tie the knot with model and actress Sangeeta Bijlani in 1996. Their marriage broke in 2010, and since then Azharuddin is said to be involved with a certain American lady named Shannon Marie. So did he tie the knot for the third time? 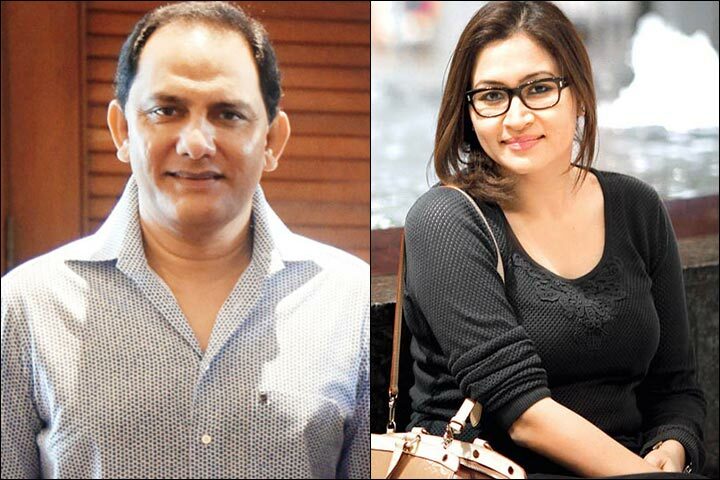 Will Azharuddin’s marriage happen again? Read on. Mohammed Azharuddin was born on 8th February 1963 in Hyderabad, where he received all of his education. It was his grandfather, Mir Vajehuddin, who inspired him to take up the sport of cricket since he was cricketer himself. After extensive training, Azharuddin got an opportunity to play for the national cricket team in the year 1984 with his first game being a test match opposite England at Kolkata. The young Azharuddin impressed everyone by his outstanding game skills, and his ability to hit long shots with just a flick of his wrist. Two years after Azharuddin’s marriage, and just five years after his debut, he became the captain of the Indian cricket team in 1989, and went on to lead the Indian in 47 test matches and 174 one-day internationals. In 2000, he was found guilty of match-fixing, and was banned from cricket for life. The ban was later lifted by judicial bodies in 2012. In 2009, he joined politics to become a member of parliament, and remained incumbent till 2014. Azharuddin’s marriage, for first time, happened in the year 1987 at the age of 25 to a 16-year old Hyderabadi girl called Naureen. Their marriage was an arranged one, and Naureen was a simple individual who loved being in the shadows. She was happy being someone who would watch her husband grow from a distance yet be there whenever he needed her. Azharuddin had two sons with Naureen, Mohammad Asaduddin and Mohammad Ayazuddin. The latter, younger sibling unfortunately passed away in a road accident in 2011. Azharuddin and Naureen’s marriage was a stable one until Azhar happen to meet the model and actress Sangeeta Bijlani at a TV commercial shoot in early 1990s. Azharuddin was smitten the moment he saw Sangeeta and he later shared the following words about his first encounter with Sangeeta Bijlani. Sangeeta Bijlani was a model and actress, and those days was just out of a relationship with actor Salman Khan, whom she had caught cheating with model Somy Ali. It is said that Salman and Sangeeta were almost at the verge of tying the knot, when he suddenly grew enticed towards Somy Ali leading to Sangeeta and Salman’s breakup. By 1993, Sangeeta and Azharuddin were very much seeing each other, and she would even accompany her married boyfriend to all the matches he would play in India or abroad. Apparently, this would irk Azharuddin’s teammates since he would be more focused about attending to Sangeeta than concentrating on the upcoming game. In the meantime, Azharuddin’s marriage didn’t start falling apart; Naureen was clueless about her husband’s liaison, and it is only through tabloid and well-wishers she learnt the news. Much later she shared the following words of regret to a tabloid. 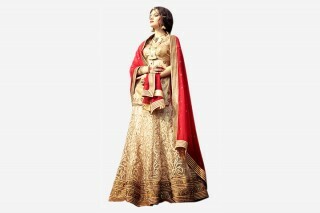 Sangeeta had developed a certain tarnished image of being a home-breaker. Despite that it did little to fade her relationship with Azharuddin, and by 1996 the couple took the decision of getting espoused. Azharuddin divorced Naureen leaving her a heavy alimony and heartbreak. 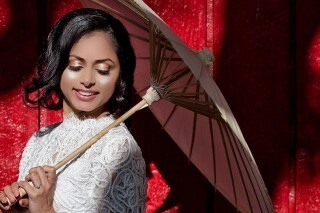 Naureen later remarried a Canada-based businessman in 2001. Sangeeta and Azharuddin’s marriage took place soon after. and Sangeeta was officially Mrs. Mohammed Azharuddin. She soon became a permanent fixture at all the events and matches Azharuddin attended. After Azharuddin joined politics in 2009, she heavily campaigned for him in spite of the fact that there were cracks in her and Azharuddin’s marriage, and they were on their path of separation already. 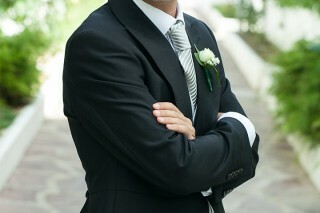 Second Marriage Ends And Second Liaison Begins? In late 2009, Azharuddin is said to have been besotted by Jwala Gutta, the badminton player from Hyderabad. Jwala was then married to her fellow badminton player Chetan Anand with whom she had tied the knot in 2005. It is said that her marriage was on the rocks, which worked as a catalyst in the alleged affiliation with Azharuddin. By 2010, rumours were aplenty about the discord between Sangeeta and Azharuddin due to undisclosed reasons. The same year it was learnt that even Jwala Gutta is getting all set to file for a divorce from Chetan Anand but she denied that Azharuddin was the reason for it. She later shared with media that her affair with Azharuddin was fabricated in order to tarnish his image, and Azhar reverberated the same sentiment. It was later learnt that Azharuddin intended to contest for the President’s position in the Badminton Association of India, which did not go down well with certain members of the association due to his match-fixing past. All clues did point towards baseless rumours, but was a rumour alone enough to break Azharuddin’s marriage, a 14-year old marriage with Sangeeta, or were things with Sangeeta really that bad? No one knows this till date, and the couple have always stayed mum about it. Gutta went on to have a divorce from Chetan Anand in 2011, and Sangeeta and Azharuddin moved-on to their individual paths after their split. 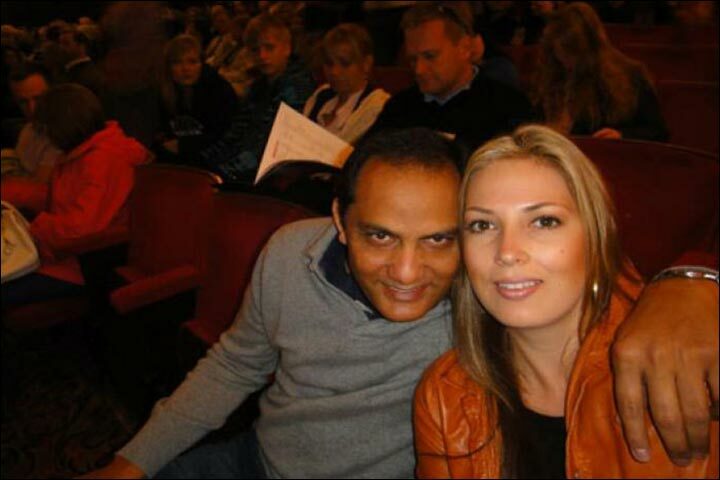 In 2015, news broke that Azharuddin’s marriage, his third one went through, and that Azharuddin has tied the knot with a certain American woman called Shannon Marie. Not much is known about Shannon but she was spotted with Azharuddin for the first time together in 2013 at an event in Paris, after which they made repeated appearances together at many public places. In 2015 though, Shannon is said to have visited Hyderabad, where she accompanied Azharuddin at an event, where he introduced her as his wife. He is said to have given her the same introduction when he was meeting certain Bollywood personalities in Mumbai for the making of his biopic Azhar (2016). While everyone was having these stories with a pinch of salt, in late 2015, Azharuddin came forward and refuted the rumours of his marriage to Shannon. Since Azharuddin’s tweet, things have completely fizzled out, and little is known whether he is still seeing Shannon. While the two may be just ‘good friends’, it would not be surprising to hear the wedding bells ring for the third time for Mohammed Azharuddin. 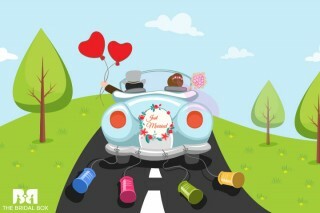 We hope Azhar eventually finds his true soulmate, and wish him the best for life and all its pursuits.